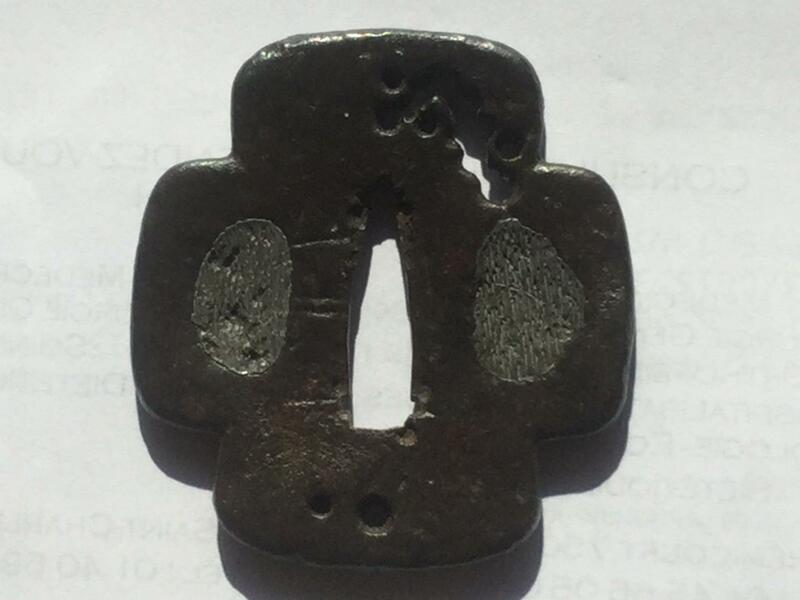 I recently acquired two tsuba on eBay from a decent seller, allegedly made by some 'Yamakichubei', and bearing a signature: yama (山) kichi (吉). Then, I bought another one, with the same yama (山) kichi (吉) signature and similar design, but decorated with gold inlay of paulownia with tendrils. 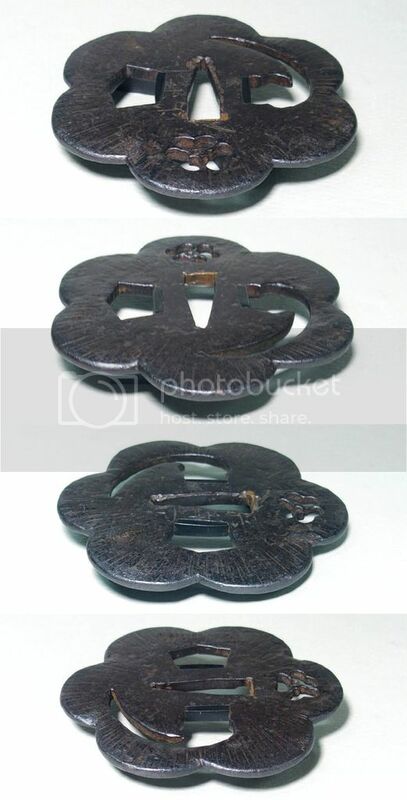 Frankly, I did not (and do not) think that these are a real Yamakichubei pieces, but they were cheap enough to buy for research purpose. Seems like they are producing them en mass! Anyway, I would like to know what you think regarding these tsuba and Yamakichubei tsuba altogether. It seems to be a fascinating theme for research beyond what we know from 'Tsuba. An aesthetic study'. A good one is worth more than 1000$. 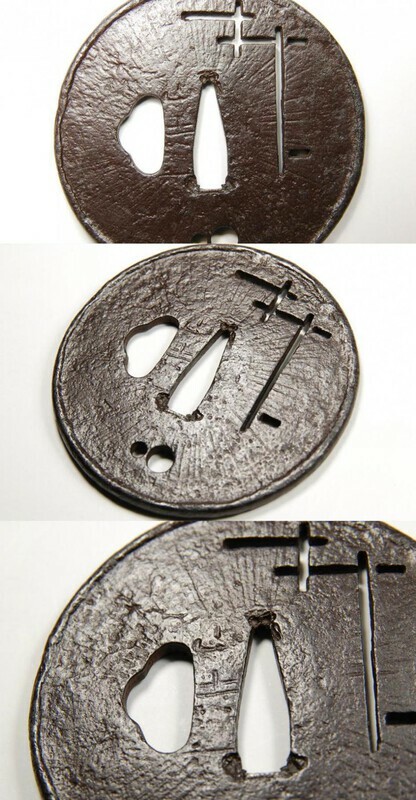 These tsuba you have presented here really have nothing to do with the actual Yamakichibei works of the Momoyama and earliest Edo Periods. 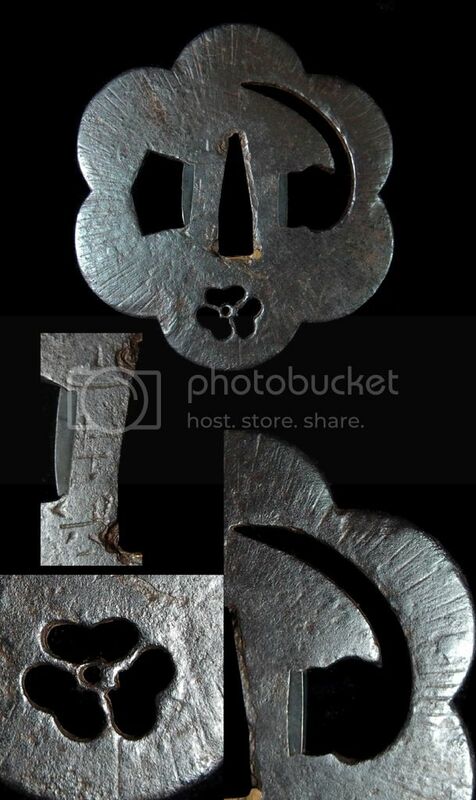 They are "homage" pieces, if you will, but are only a hollow facsimile of the real thing. 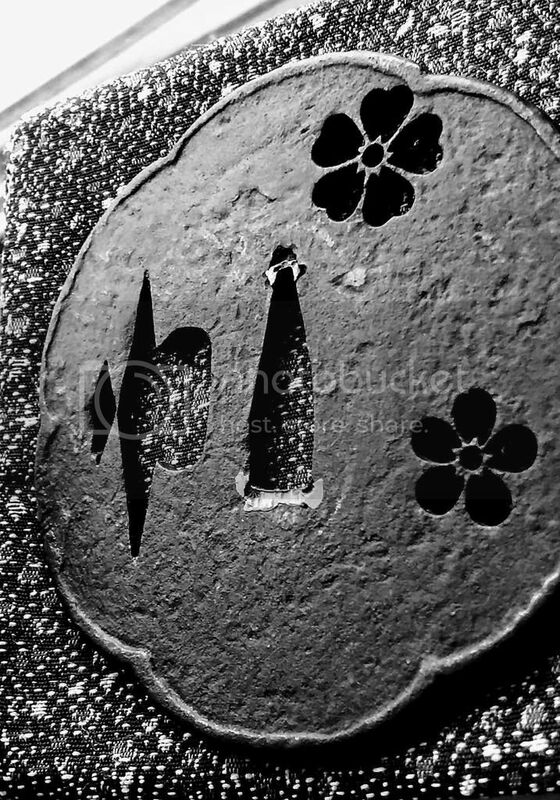 The inscription is "Yamakichi," as opposed to "Yamakichibei," and they always appear with those odd little holes (between 4 and 6) and carved lines in the vicinity of the hitsu-ana. 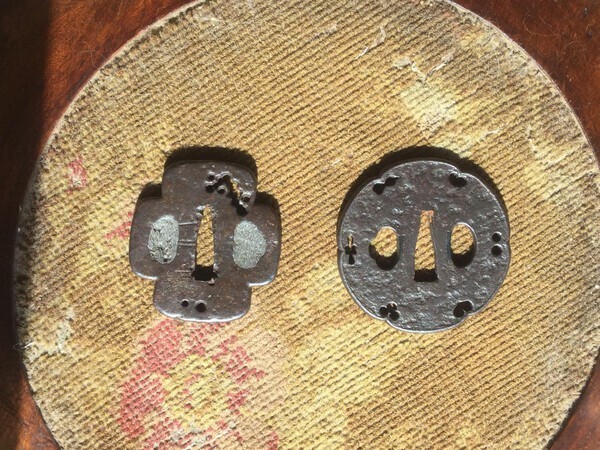 Many of these were made in the 19th century, all with little variation, some 250 years after the actual Yamakichibei men were working. 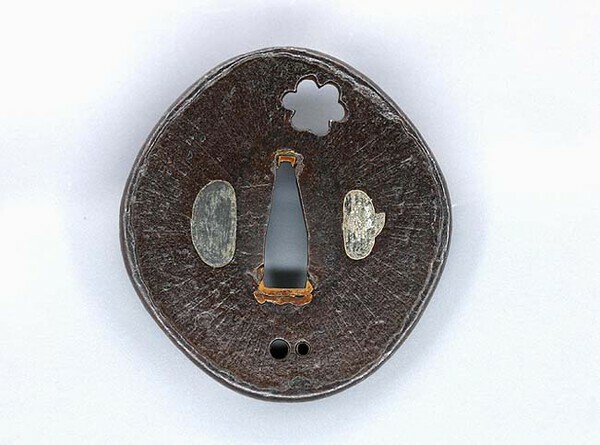 As for opinions on Yamakichibei tsuba overall, well, there is probably a range of viewpoints. 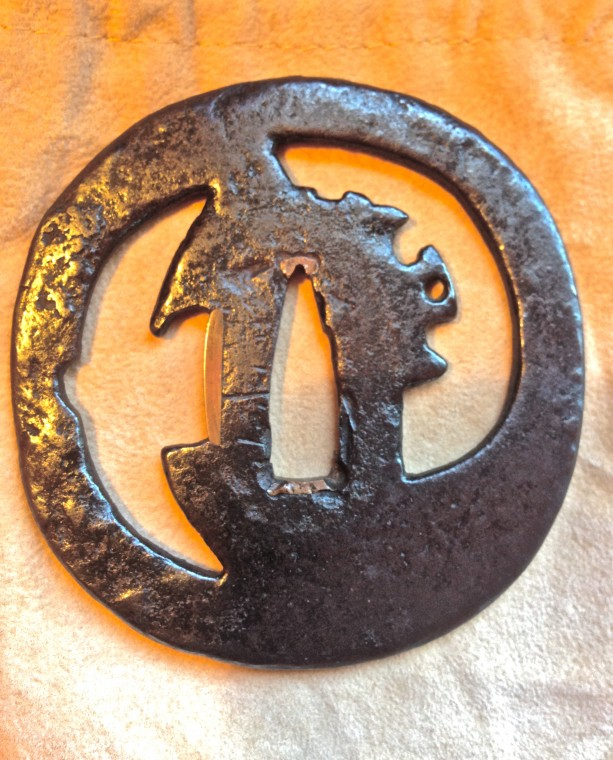 Many here know mine, as I consider true, early Yamakichibei tsuba to be among the very best iron sword guards ever made. At their best, they are second to none, including Nobuiye and Kaneie. Their mastery of certain features/processes such as tsuchime, yakite, and tekkotsu, especially in combination, reached heights never to be surpassed, and rarely equaled, resulting in tsuba with great haki, or power. 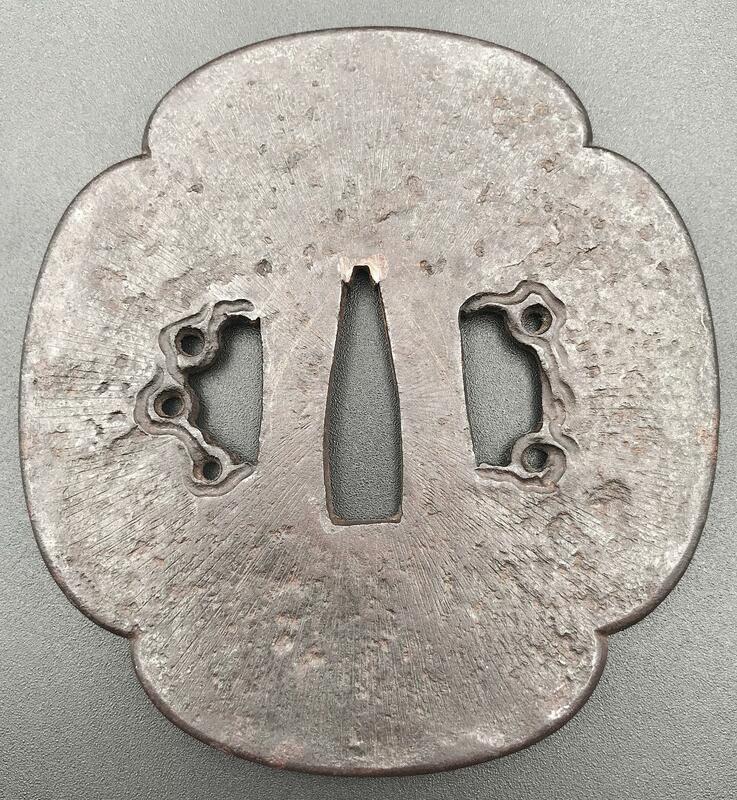 If one's taste is for sword guards with this sort of expressiveness, Yamakichibei works are at the top of the mountain. Of course, for many, such aesthetics hold less appeal. Yamakichibei tsuba are deeply connected with the aesthetics and culture of Buke Tea that was dominant in the Momoyama Period. 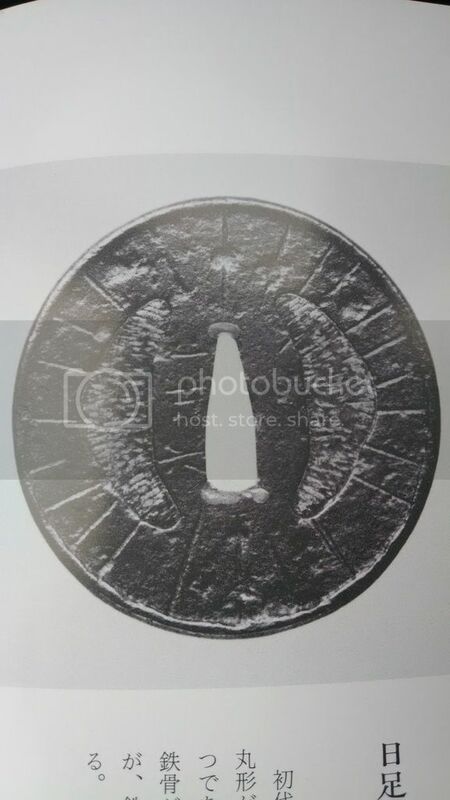 The aesthetic principles informing cha no yu then---its ceramics and other articles, as well as the architecture and interior design---were of major importance to the leading figures (and thus their vassals) of the time. My belief is that one cannot properly appreciate or understand Yamakichibei guards unless one also studies the culture of Tea in the late-16th and early-17th centuries. If one cannot grasp what makes an Iga hanaire or Bizen mizushashi of that time a masterwork in ceramics, one may not be able to fully "get" Yamakichibei. 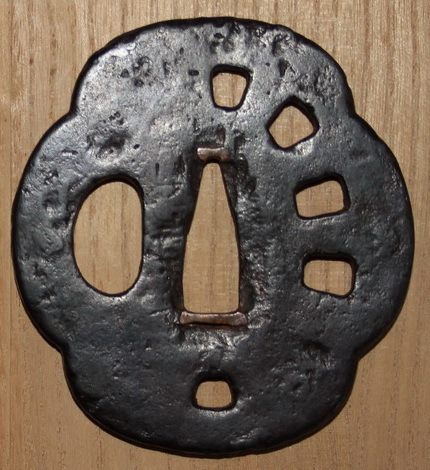 Below is an early Yamakichibei tsuba (Yamasaka Kichibei). I am currently studying literature mentions, compiling a bibliography on Yamakichibei tsuba. It may not be an article per se, but could help someone to write an article. Your specimen is of special interest to me. 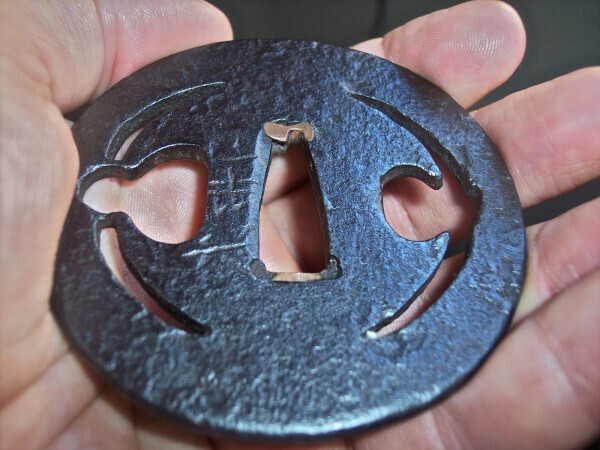 I was not able so far to find a single tsuba signed "Yamasaka Kichibei)". This signature is mentioned in the Torigoe/Haynes book, but there was no example provided. I wonder if yours bears that signature? 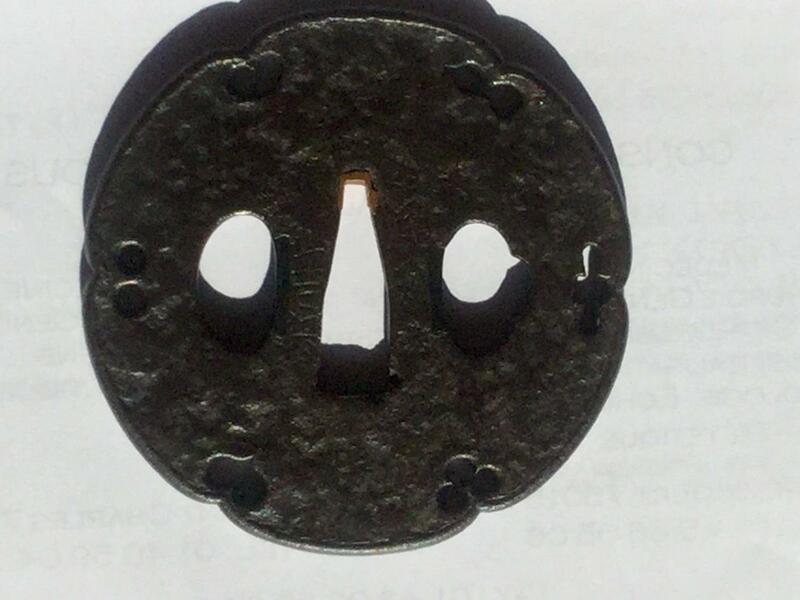 Also, I would be thankful to everyone for providing me with good pictures of your real Yamakichibei tsuba with your permission to use (with the reference, of course). Front/back and signature close up, please. BTW, if you put yamakichibei into the search field for the forums you will find quite a lot of topics. 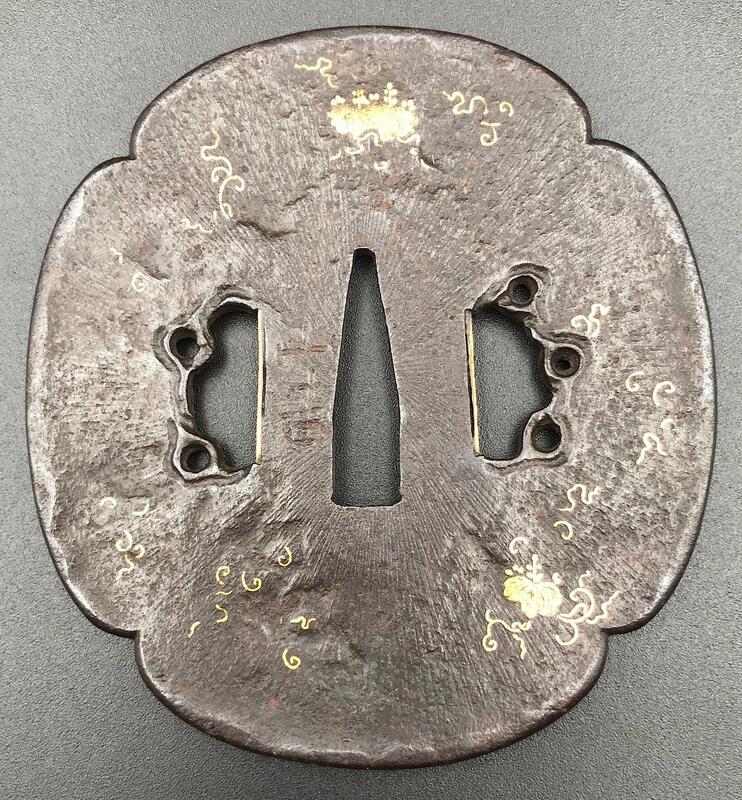 As a student of Yamakichibei tsuba, I feel there's far too little reference material out there on them. I'll gladly let you use my example for your research. 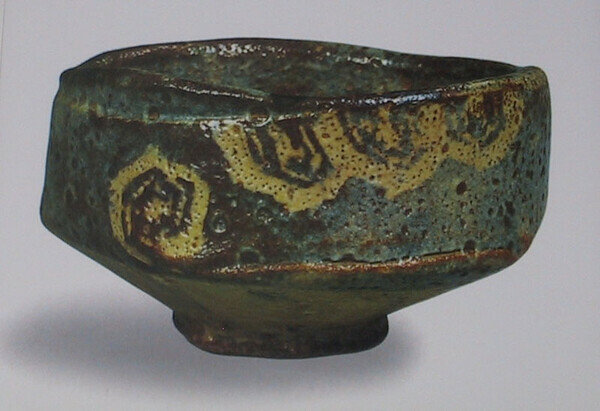 Nidai Yamakichibei, 8.4 x 8.3cm and you couldn't hope for a better mei. The comparison image is from Okamoto's Owari to Mikawa no tanko. "Both the victor and the vanquished are but drops of dew, but bolts of lightning - thus should we view the world." The literature on Yamakichibei is scant, but one source you need to have is Okamoto's Owari To Mikawa no Tanko. I know Grey has had this title available in the past. There is an excellent translation, too. This book covers the tsuba smiths from Owari and Mikawa provinces (though curiously, the two early Nobuiye are omitted; perhaps Okamoto completed the book---an early 80s publication---before it was generally agreed that the two Nobuiye were Owari men). 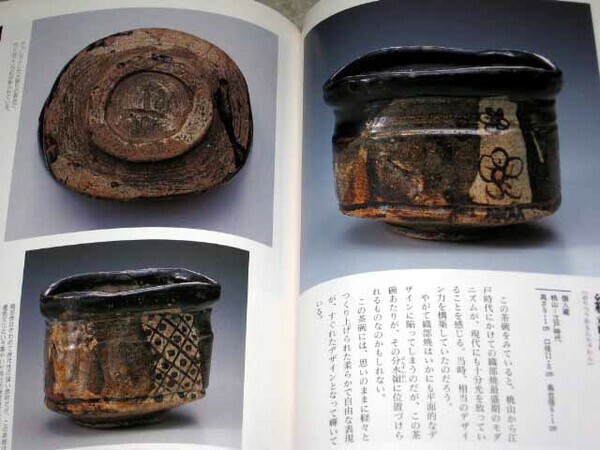 The section on Yamakichibei is the most in-depth and detailed in print I have yet seen. There are a few points Okamoto makes in his write-up that I don't quite agree with, or don't think are fully clear, but in the main, this is excellent material. 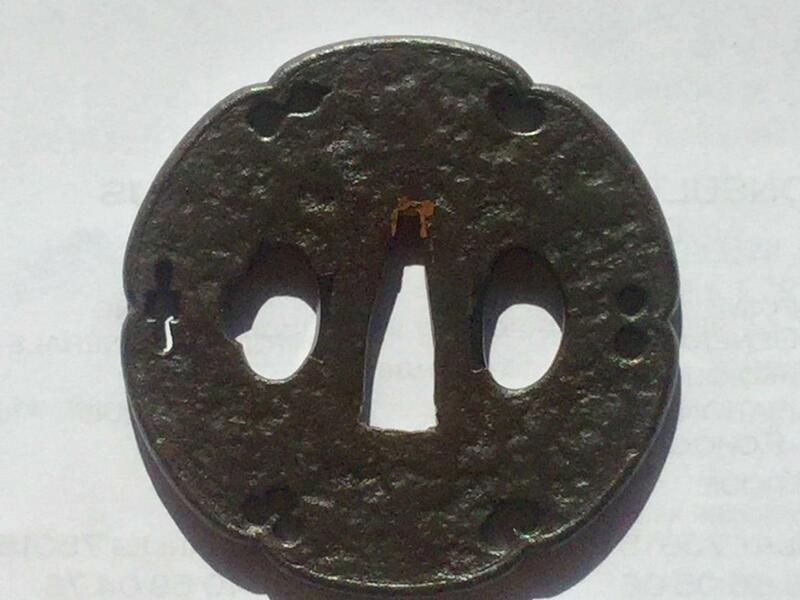 As to the tsuba I posted the photo of, the mei reads "Yamakichibei," but it is a Yamasaka guard. How do I know? Lots of study and comparison of Saka tsuba with those of the Meijin Shodai. 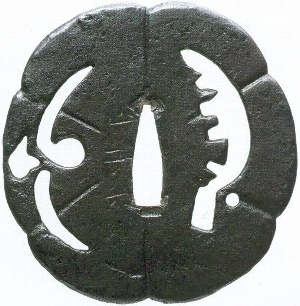 The literature states that Yamasaka Kichibei occassionally signed "Yamasaka Kichibei," but also signed just "Yamakichibei" at times. Yamasaka Kichibei is referred to as O-Shodai, while the "other shodai" is known as "Meijin Shodai." See studies of Kaneie for a similar situation as concerns shodai tsuba. In this particular piece, the workmanship and key details in the mei allow me to know it to be Saka work. You are correct, Sergei, in saying that there aren't a lot of reference photos of Yamasaka mei to be found. 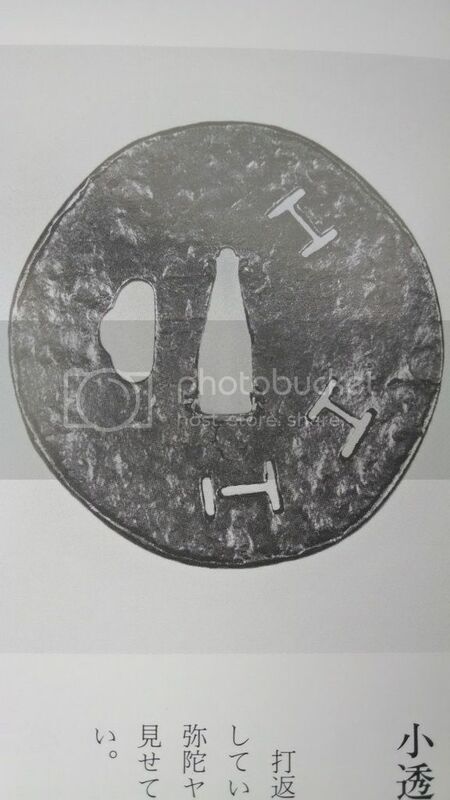 There are four Yamasaka tsuba illustrated in the Okamoto book. 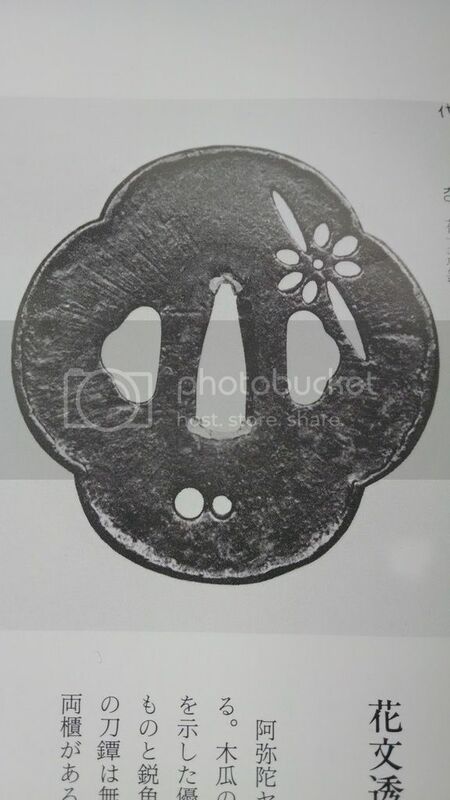 There are a couple of others in Nakamura's Tsuba Shusei, and the 2009 Dai Token Ichi catalogue not only has a good photo of a Yamasaka guard (complete with clearly legible mei), but also includes a photo of the Juyo Nidai Yamakichibei Otafuku-gata "blossom" tsuba that Sasano erroneously attributes to (Meijin) Shodai work in his "gold book." 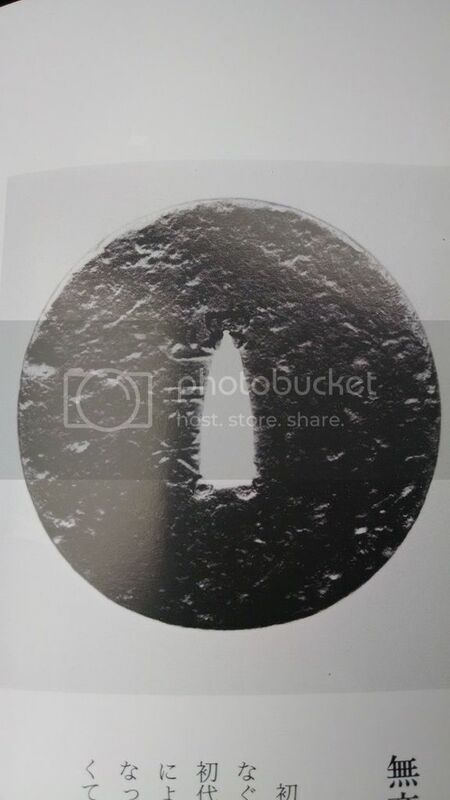 In the 2014 NBTHK Iron Tsuba Exhibition catalogue, there is a magnificent tsuba with a Yamakichibei mei that is a Yamasaka piece. This guard has many of the same features as the one I posted the photo of. 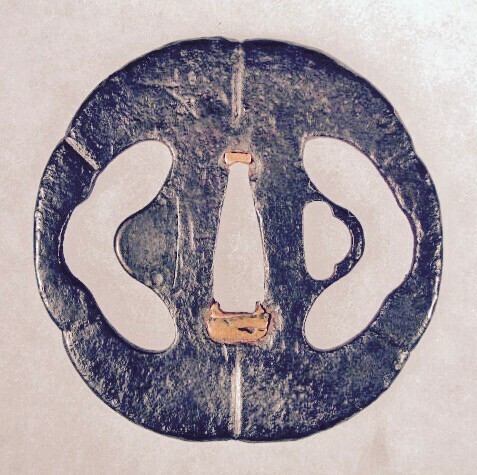 Below is a photo of a Meijin Shodai sword guard. Thanks Steve and All. Very informative. Anyone has and extra copy of Okamoto's Owari To Mikawa no Tanko? I would like to buy. My work is progressing well, hope to provide the first draft for your critique before the next week begins. The best I can do with my ipad, before taking my Slr camera but have not time for this, our old cat being in emergency. Important to remember that in many cases, older literature (or brand new, for that matter) will contain and repeat errors, faulty and/or incomplete information, and questionable assumptions, premises, beliefs, reasoning, and conclusions. In order properly to pursue an analysis and assessment of a subject like this, it is crucial both to examine many examples of the tsuba in hand, as well as to educate oneself on larger historical and cultural contexts informing the creating of these pieces. Sharp skepticism is critical in this endeavor. Below are a few more photos of Yamakichibei guards. 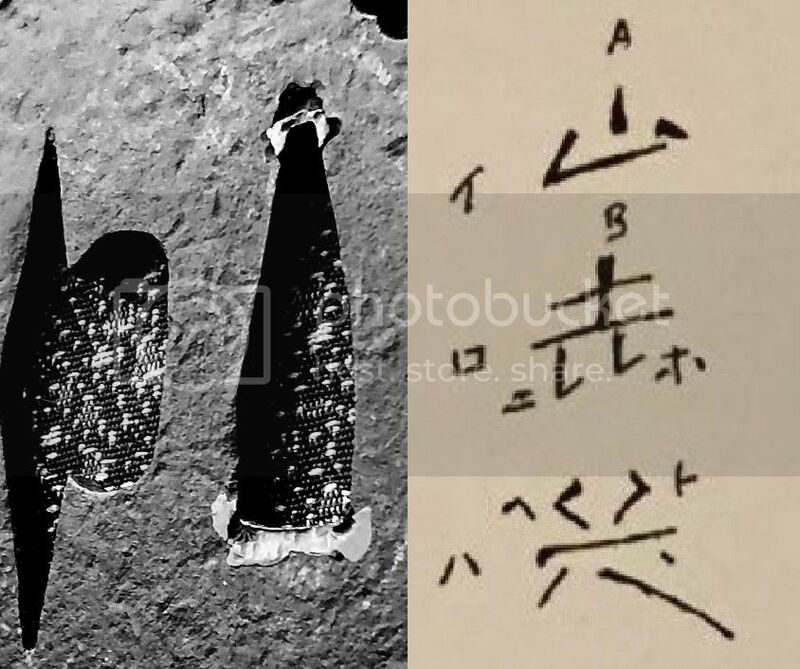 These include both "Meijin Shodai" (the last two examples) and Nidai pieces. Just wanted to throw in that this thread has been amazing with tons of information and great pictures. Good stuff. You had mentioned above learning about Momoyama and Early Edo Buke culture and specifically their practice of Cha-no-Yu, so I thought I would offer up a bit of a book list. These last two are probably the best overview titles. Some of these are out of print, so your local library might be able to find a copy. Thanks, Tim. Yes, all good titles there. I have all but the Rikyu book. 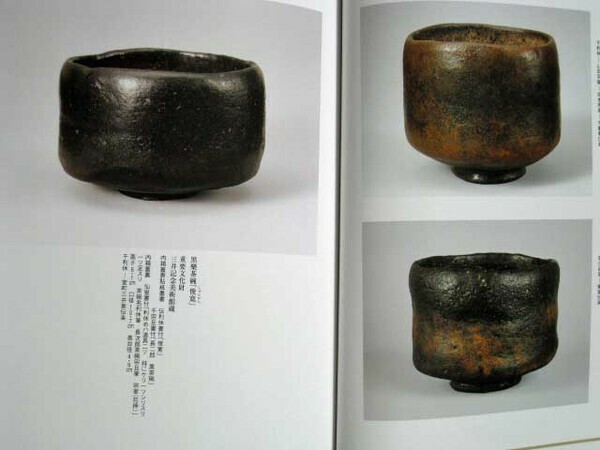 Another publication I recommend in order to get a good introduction into Japanese aesthetic principles (some of which so prominently feature in Yamakichibei tsuba) is Donald Richie's A Tractate on Japanese Aesthetics. "Yamakichibei tsuba show a strong relationship with raku tea bowls (chawan) and the surfaces were probably produced the same way by repeated firings. 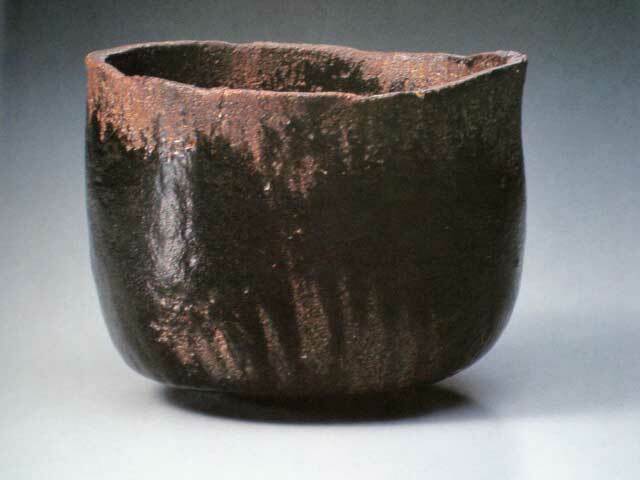 Raku bowls express a sense of wabi feeling that was central to the Momoyama period tea ceremony (cha-no-yu), an important aesthetic ritual practiced by Oda Nabunaga and Toyotomi Hideyoshi as well as their relatives and close retainers. 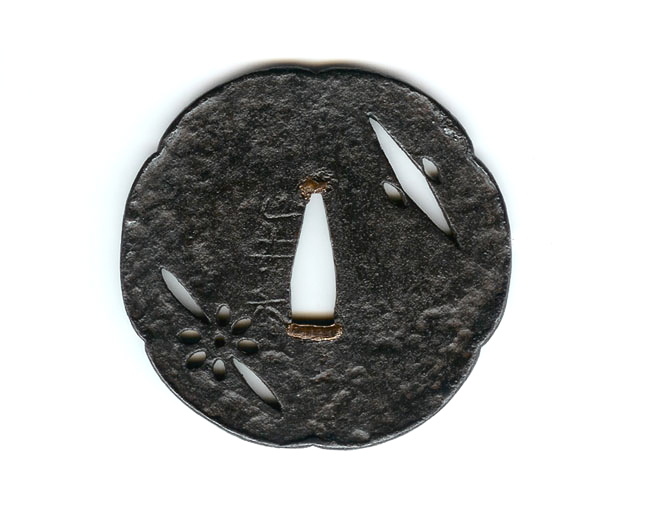 Wabi (literally, powerty) expresses the Buddhist principle of ku, which is described in English as 'emptiness', or 'the void' or 'formlessness'. The principle of ku was of interest to the Buke as both Miyamoto Musashi and Yagyu Munenori make reference to it in their respective manuscripts 'Go Rin no Sho' and 'Hyoho Kandensho'." [From KTK #4, 2008]. all true except the firing of RAKU. This is a very spontaneous process (apart from the biscuit firing of the pots) with one low temperature firing (earthenware). That can be all done in one day. 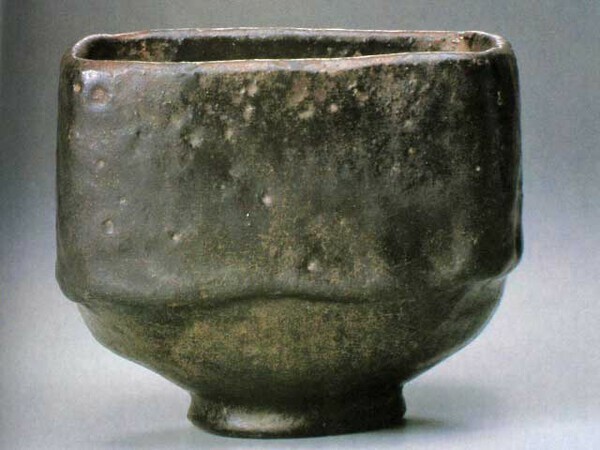 What you probably were referring to is IGA ceramics with repeated stoneware firings and fly-ash glazing caused by the wood consumed in the ANAGAMA kiln. Great recommendations Tim, I can't endorse Turning Point enough. I've been through it several times and am still learning with each visit. For those interested, you can actually download the PDF from the Met's site for free. The book can be had for short money virtually anywhere and I much prefer physical copies (old school at heart), but if you're not sure you want to spend the money this is a perfect alternative to get your feet wet. Ugh...I think I have most of your collection in my library and refrained from posting any for obvious reasons, but man, I'd never pass up an opportunity to look at that one! 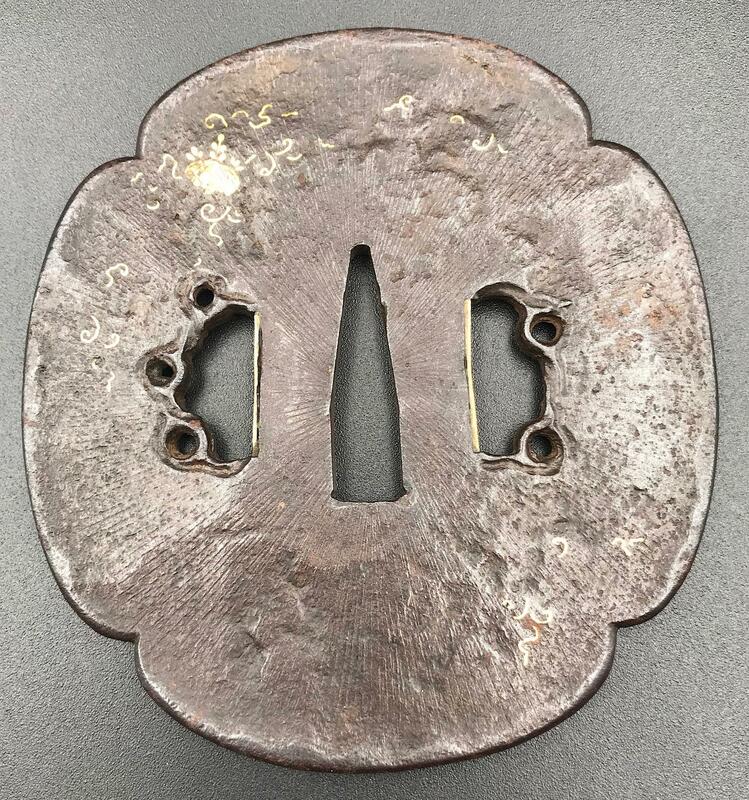 Probably my favorite tsuba ever made, very unique among Nidai work (which is really saying something), and it's a wonderful example of why I adore his individuality and expression. Awesome info, pics and thoughts in this thread. Thanks for taking the time to share guys. Here are some examples of important masterwork tea wares that show similarities to YKB and other Momoyama - Early Edo period tsubako such as Nobuie and Hoan. 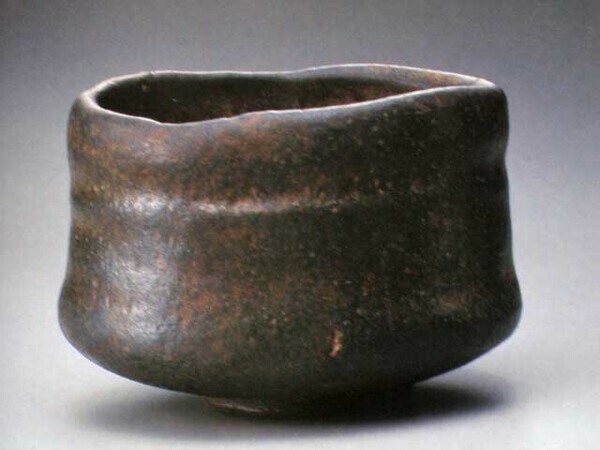 It is thought the pottery came first, and was developed as a unique aesthetic style that complemented and reinforced the intense experience of the Soan, Wabi, and Daimyo forms of cha-no-yu. The practice of cha-no-yu went 'viral', as we say today, in the Momoyama period, and was embraced by all classes of Japanese. 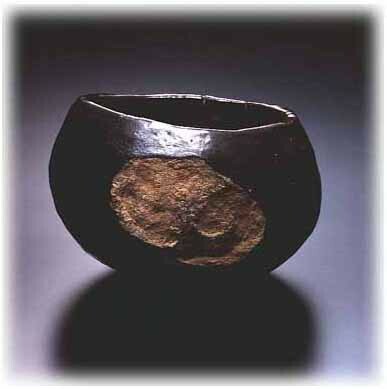 Read about the great Kitano tea gathering for example. 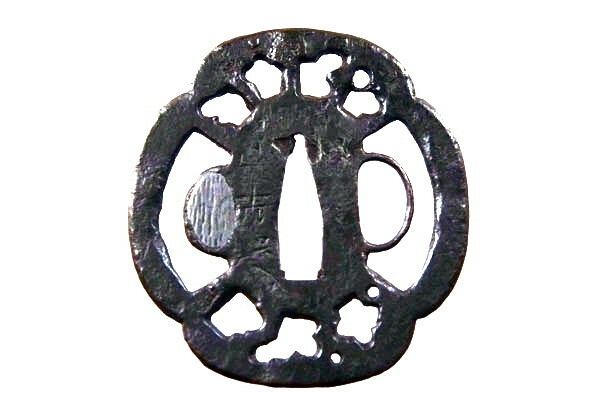 Because Buddhism was of vital interest to both the Tea Master and the Warrior, it is not surprising that the unique visual language developed for cha-no-yu crossed over into tsuba. SV: Evan, please tell about this tsuba. 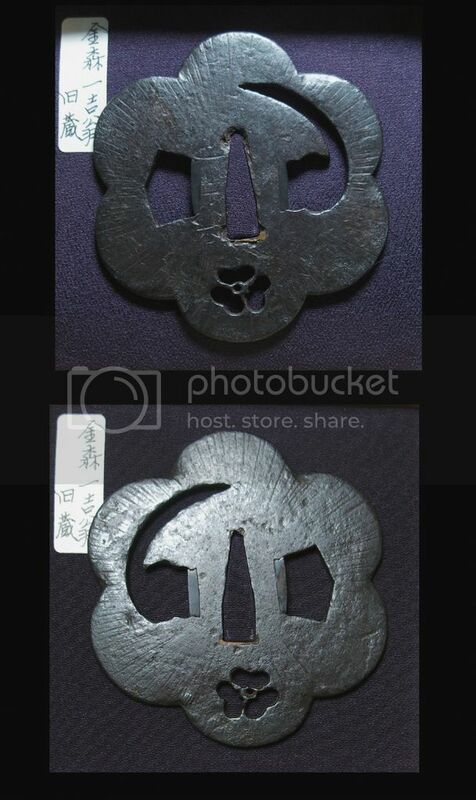 Do I understand correctly that it is 2nd (Nidai) Yamakichibei? Please provide dimensions. SV: Please provide citation for the photos below. Where are they from? I think I can answer for Evan, Sergei. The color photos are of a nidai Yamakichibei offered in an auction last year. I don't know the exact dimensions on this guard (I don't think Evan does either, since I sent him the photos originally... ). 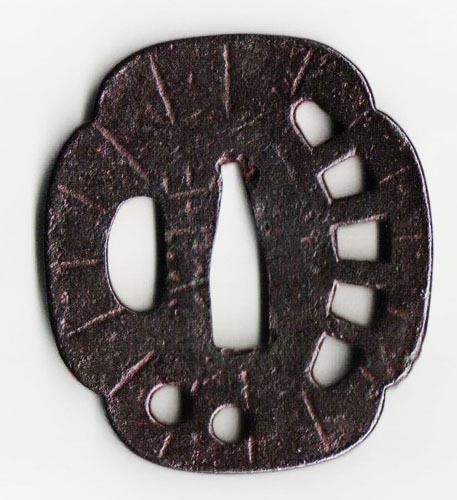 This tsuba has Tokubetsu Hozon papers and is, in my view, a masterwork. The color of this piece, in particular, is fantastic, being of that "yohkan" hue that is so highly prized (the oblique images, as usual, show the color of the guard best). The black and white photos are all taken from Owari to Mikawa No Tanko. Some good ceramics examples there. Thanks for posting these. You note in your last sentence that "[b]ecause Buddhism was of vital interest to both the Tea Master and the Warrior, it is not surprising that the unique visual language developed for cha-no-yu crossed over into tsuba." Yes, a very important point here. 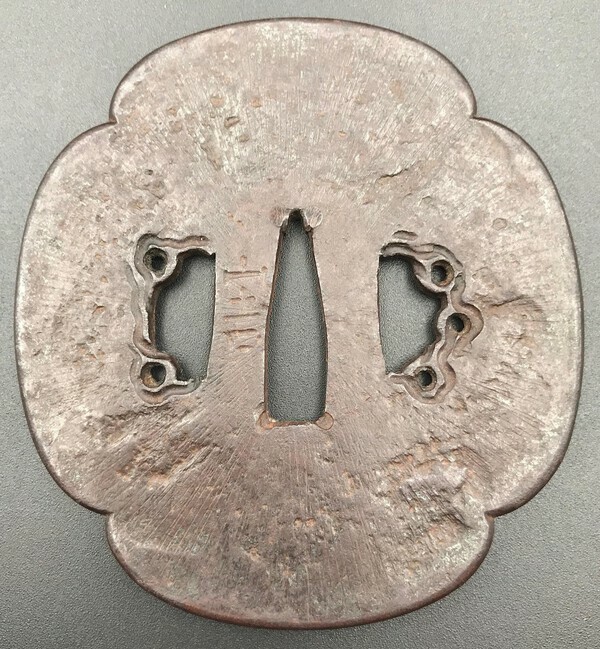 However, I think it must be emphasized that only relatively few tsuba (types) "spoke the language of Tea" as the works of Yamakichibei, Hoan, Nobuiye, and some of the Higo masters did. 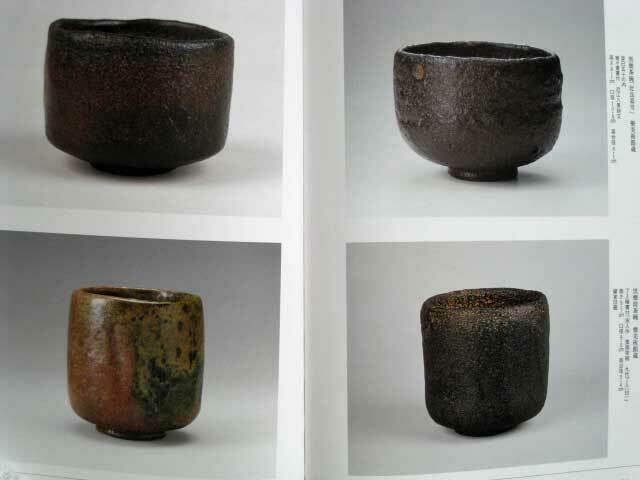 The high-level aesthetic principles informing wabi-cha and its utensils, architecture, interior and garden designs, were manifest only among a fairly small group of (especially Owari) tsubako in the late-16th and early-17th centuries. Besides ku and haki, which have been mentioned, and the wabi of wabi-cha, principles such as shibusa, sabi, mono no aware, and yuugen (among others) were ascendant and lively in many of the arts of the Momoyama age, including poetry, Noh drama, and of course, cha no yu. 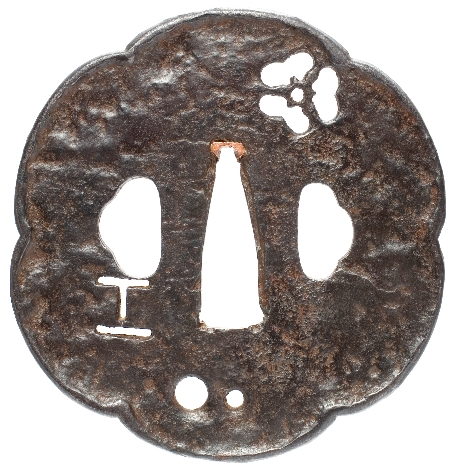 These were the arts of the Buke, and with Oda Nobunaga and Toyotomi Hideyoshi acting as driving forces marrying warrior and Tea culture in the 1570s, 80s, and 90s, the koshirae of high-ranking bushi would have been a natural residence for accoutrements that embodied and reflected such sensibilities. This would include the tsuba. 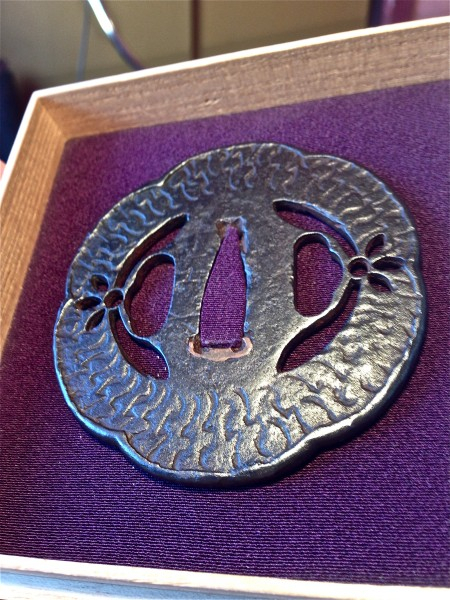 Especially, the tsuba. 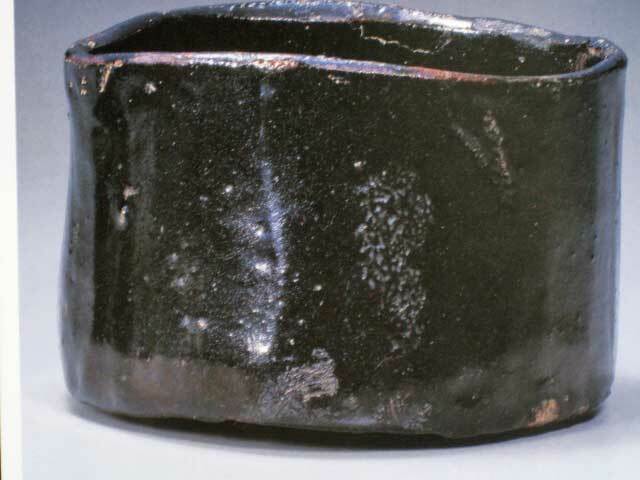 It should be understood, then, that part of the greatness and importance of such smiths as Yamakichibei, Hoan, Nobuiye, and others who produced high-level "Tea tsuba" is in the very fact that their works were associated so tightly with Tea. 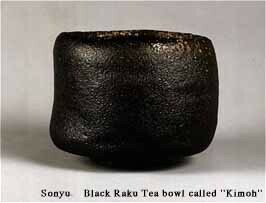 Tea mattered to the highest-ranking members of the Buke in the Momoyama years, and it mattered a lot. It is, in fact, difficult to overstate the degree with which it did. When we combine the sheer mastery in iron their works exhibit, with the lofty aesthetic principles they embody and express, with then their historical and cultural importance, we have what I would argue represents the apex of tsuba art in Japanese history. Jean, if you would like your pieces to be cited, provide hi-res photos (~1MB) with short description: signature, generation, dimensions. Thanks. And yes, your last name, please! Thanks Steve. I was thinking that the photos are from there. Very good! 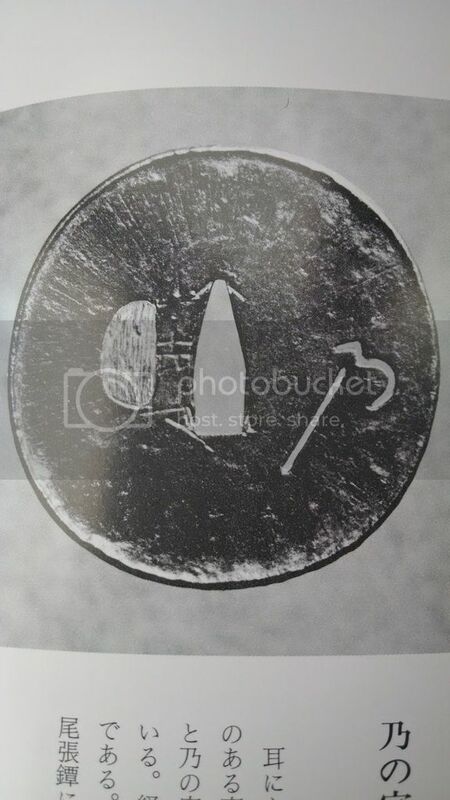 Can you tell which tsuba on the photos are which generation Yamakichibei? 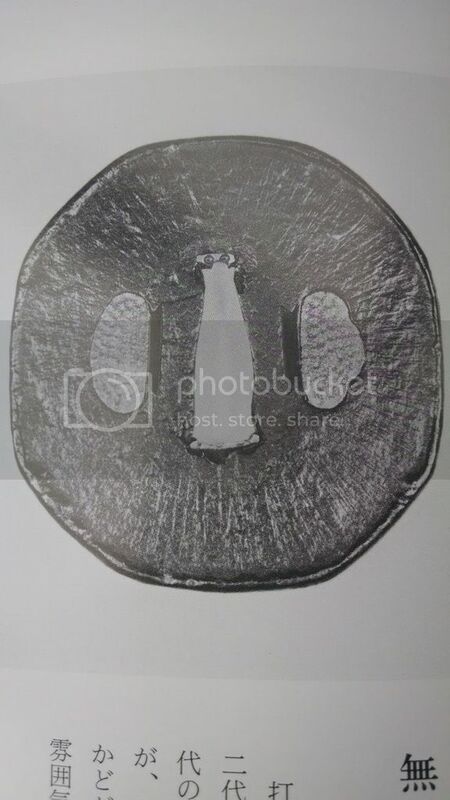 All of those black and white images are of nidai Yamakichibei tsuba, Sergei. Thanks Steve. Is there any other Yamakichibei photos (other generations, etc.) in the book?